Herbert Brownell Jr. (February 20, 1904 – May 1, 1996) was an attorney and a Republican Party organizer. From 1953 to 1957, he was the United States Attorney General in the administration of President Dwight D. Eisenhower. Brownell, one of the seven children of Herbert and May Miller Brownell, was born in Nemaha County, Nebraska, near the town of Peru. His father, Herbert Brownell, was a professor and author at the Peru State Normal School in education and physical sciences. After graduating Phi Beta Kappa from the University of Nebraska in 1924, and, in his senior year, being a member of the Society of Innocents, Brownell attended Yale Law School, earning his law degree in 1927. While at the University of Nebraska, he joined The Delta Upsilon Fraternity. Brownell was admitted to the bar in New York, and began his practice in New York City. In February 1929, he joined the law firm of Lord Day & Lord in New York, and except for periods of public service, he remained with them until his retirement in 1989. He married Doris McCarter on June 16, 1934. They had four children (Joan Brownell, Ann Brownell, Thomas McCarter Brownell, and James Barker Brownell) and remained together until McCarter's death on June 12, 1979. He married his second wife Marion Taylor in 1987, but the couple separated and divorced in December 1989. Besides his law practice, Brownell had a long and active political career as a Republican. He was a member of the New York State Assembly (New York Co., 10th district) in 1933, 1934, 1935, 1936 and 1937. In 1942, he was the campaign manager for Thomas Dewey's election as governor of New York. He also managed Dewey's 1944 and 1948 campaigns for president. 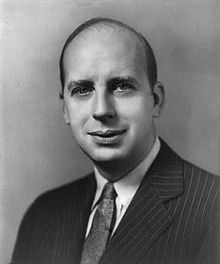 From 1944 to 1946, he was the chairman of the Republican National Committee, where he focused on modernizing it with advanced polling methods and fundraising techniques. He was credited by many as being instrumental in helping the Republicans to gain control of the US Congress in the 1946 midterm elections. In 1952, Brownell was instrumental in convincing General Dwight Eisenhower, then supreme allied commander in Europe, to run for President of the United States and worked in the Eisenhower campaign. Along with Dewey, Brownell was instrumental in Eisenhower's selection of Richard Nixon as the vice-presidential running mate. Eisenhower appointed Brownell Attorney General. He served from January 21, 1953 until October 23, 1957. On November 6, 1953 Brownell told members of the Chicago Executives Club, "Harry Dexter White was a Russian spy. ... He smuggled secret documents to Russian agents for transmission to Moscow." Early in his term, he was involved in several landmark civil rights cases, including Brown v. Board of Education. Although it was weakened by the US Senate, he drafted the legislative proposal that ultimately became the Civil Rights Act of 1957, which was the first civil rights law enacted since 1875. Because of his strong stance in favor of civil rights, Brownell became very unpopular in the South. Eisenhower reluctantly decided not to nominate Brownell to the Supreme Court when vacancies occurred in 1957 and 1958, as he feared that segregationists in the Senate would fight and defeat the nomination. In 1965, Brownell chaired a committee to find civilians, who would serve on the first impartial Civilian Complaint Review Board of New York City, the first such citizen oversight of police in the country. Brownell took himself out of consideration for appointment by President Nixon as Chief Justice of the United States to replace Earl Warren in 1969, the eventual replacement being Warren E. Burger. Brownell later served as the United States representative to the Permanent Court of Arbitration in The Hague and from 1972 to 1974, he was special U.S. envoy to Mexico for negotiations over the Colorado River. In addition to many honors and other civic roles, Brownell was also President of the New York City Bar Association in 1982. From 1986 to 1989 he served on the Commission for the Bicentennial of the United States Constitution. He died of cancer at the New York Hospital Cornell-Medical Center in Manhattan, New York, at 92. Herbert Brownell and John P. Burke; Advising Ike: The Memoirs of Attorney General Herbert Brownell; 1993, University of Kansas Press; ISBN 0-7006-0590-8. ^ Earl Mazo, "Richard Nixon: A Political & Personal Portrait," pp. 89, 96. ^ Dean, J.W. (2002). The Rehnquist Choice: The Untold Story of the Nixon Appointment That Redefined the Supreme Court. Free Press. p. 12. ISBN 9780743229791. Retrieved 2015-09-13. This page was last edited on 19 November 2018, at 22:42 (UTC).